Just a few years ago, shortboards were shaped with performance as the only goal – they worked extremely well, but only for the top 5% of surfers. That’s all changing now. In recent years, the shapers have been working hard to put all that performance into a board that can be surfed by regular guys. By experimenting with new volume distribution, nose pro les, rockers, foils and base contours, our latest shortboard models paddle faster, catch more waves and drive harder than ever before, with zero compromise on performance. For the top 5%, this means ripping in a wider variety of conditions than ever before. For everybody else, it means ripping harder than you ever thought possible! Surfer’s minds are opening. Many used to think that their ‘magic’ shortboard should work in every type of wave – basically it was shortboards all year, and a longboard for summer. But that’s all changed, and surfers are beginning to recognise that there are as many styles of shortboard out there as there are types of wave. This is especially true in small waves. Inspired by the paddle power and down-the-line speed of shes, eggs and discs that have made a comeback in recent years, we’re taking the lessons taught by these retro shapes and applying them to solid performance principals, to create a series of shortboards designed to absolutely shred on the gutless beach breaks of summer in the Basque Country. A few years ago, kids boards were kind of an afterthought. often scaled down versions of adult boards, usually cut from adult board blanks: the general wisdom was give the little guy a little board, and he’ll be ne. But not today. Today’s groms are growing up with surfboards and skateboards under their feet, and their skills are progressing at a crazy rate. At Agote we approach our grommet boards with all the focus of an adult’s board, and it’s why we have three dedicated Grom models. Starting with a kid-sized blank, we’re creating boards with the deeper concaves, thin rails and bigger rockers that kids need to take the kinds of radical moves they learn in the skateparks, to the ocean. Grom surfing is evolving fast, and with our 2016 range, we’re evolving with them. As a surfer, big waves are what define Mikel Agote. As a shaper, guns are his DNA.  Today, surfboard shaping is in a period of rapid evolution, and this is truer than ever when it comes to Agote’s big wave designs. With more and more surfers seeking to escape the crowds and push their personal limits, his mission as a shaper is to give the same improved handling and performance characteristics of his short boards to his big wave shapes. By experimenting with new positions, introducing wider noses and thinner rails, increasing overall volume for paddle speed and tail rocker for turns, the boards I am shaping today represent a whole new generation of big wave guns.